Disney Babies Blog: Rides That Make You Scream! Welcome to those of you joining me from Magik Mouse and those of you just hopping aboard. I am the 4th stop on our Magical Blogorail. Walt Disney World is filled with all types of attractions - most of them are good for all ages and sizes, but there are plenty that people generally scream on. Most of the standards, I am smiling, laughing, making silly noises - but not screaming. 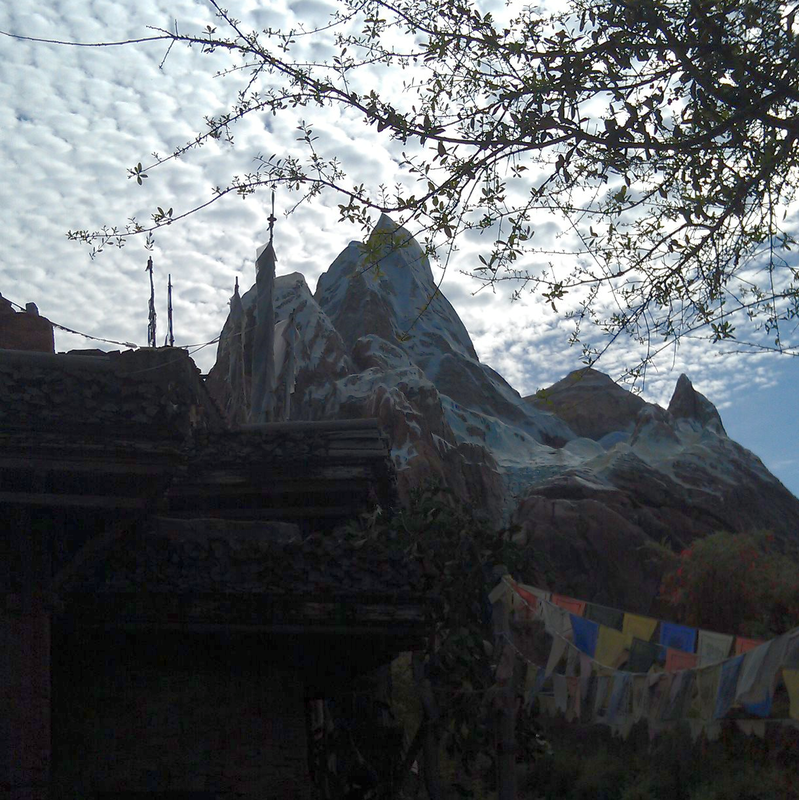 How can you NOT love Expedition Everest? The Hollywood Tower Hotel - or the Twilight Zone Tower of Terror. I have only been on it once. Yup. One time. Because my friend, Melissa, made me. Or, she's the only one I travel with that likes it. And the entire ride, I held onto Melissa's hand and screamed. Okay, maybe not the entire ride. There is a pretty good pre-scare show with some great Pepper's Ghost illusion going on. But, the "ride" part of the attraction? 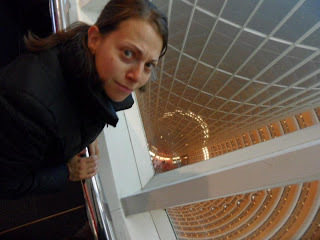 This picture I took while looking down a 50 floor atrium in Shanghai? Almost encompasses the feeling I got while riding on the ToT! Thank you for joining Magical Blogorail Blue this month. We will be back on October 11th with an all new theme. Keep checking in with our blogs in between loops to keep up to date with our Disney news, photos and stories. If you are looking for more Disney magic, you can make your way over to The Magical Blogorail website to see all our members and their blogs, as well as all our previous loops. Seems like ToT got the most votes. It's a good thing you don't travel to Disney with me. It's my fave! 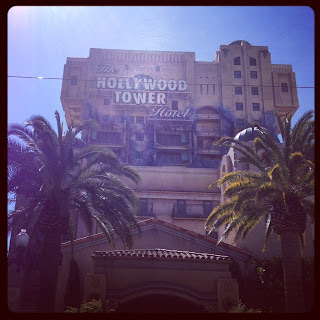 This whole Blue Line run proves one thing -- Tower of Terror is THE BEST! I cannot believe how many of us chose it. I absolutely love this fantastical plunge into Disney magic! Thank you for the post. 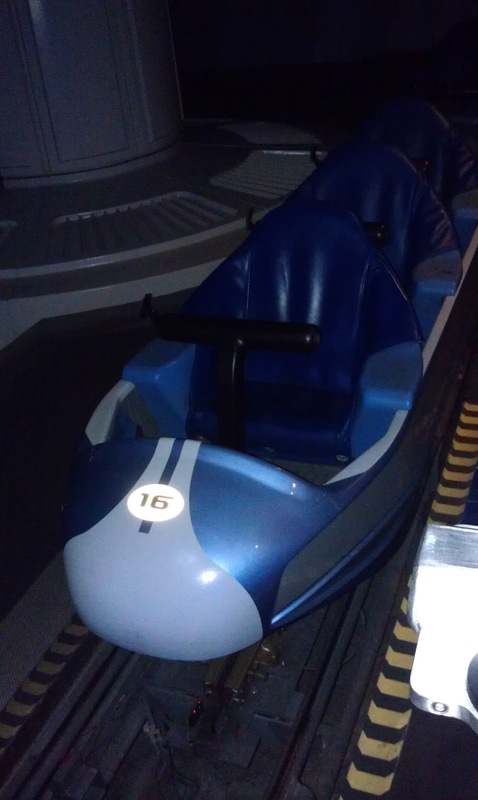 We all must ride this together sometime. What fun that would be. Thanks for the post! I've never been on ToT but when I do I am sure I will scream really loudly. My daughter has been on it twice and I know she screamed, and held on to her Daddy's arm. I can't wait to ride it soon and see if I can out scream her. I have been on ToT at WDW and Disneyland. I love to go on it, even though I hate it . . . I have no idea why I keep going on it when it freaks me out. I do know that if it was even 15 seconds longer, I wouldn't go on it! The ride pictures of me always show me with my eyes closed and my mouth open, yep screaming. I do like the building theming better at WDW. Aerosmith's Rock 'N Roller Coaster made me scream big time, 20 minutes after I got off the ride I vomited. Nope, won't be doing that one again!